Cut with a distinctively styled outline heart shaped solitaire engagement rings are without doubt the most romantic of ring styles. We present and assortment of simple heart solitaire styles only with subtle differences to emphasise the true beauty of the stone. Most heart-shaped ring designs require a simple three claw setting to reveal the captivating brilliance. We select truly defined heart shaped diamonds for setting into our engagement rings. Choose from a refined collection, all differing slightly in detail for a truly personal choice. Experience the beauty of this hand-crafted heart-shaped double halo engagement ring with a meticulously set double halo of diamonds extending down to the shoulders. With a wedding ring friendly setting and 2.5mm slim band we can help you find the perfectly matched wedding ring too when the time comes. Wedding ring friendly setting. Precision set and finished. 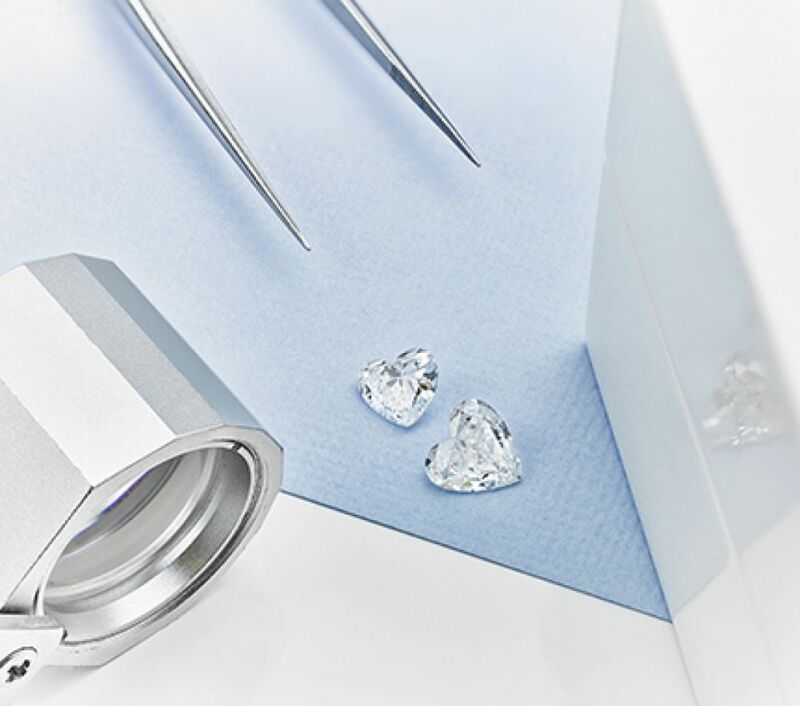 Large choice of certified diamonds. Additional 0.50 carats of perfectly faceted F-G colour VS clarity round brilliant-cut diamonds in a double halo and across each shoulder. Beautifully presented. Certification included. Worldwide delivery available. Set with an exquisitely faceted heart shaped diamond, the Kama design offers a perfect balance between shape and brilliance. The heart shape remains most romantic of all the fancy diamond shapes, held within a three claw setting. Select your perfect diamond from carat weight, colour and clarity options. We craft this exceptional ring over 3-4 weeks, creating a wedding ring friendly design to show off your heart shaped solitaire diamond with breathtaking effect. Both modern and captivating, the Angel heart shaped solitaire engagement ring features a beautifully faceted heart shaped diamond set within three exquisitely styled claws. Featuring graduated shoulders, narrowing towards the setting, three claws rise to embrace the perfectly faceted heart shaped diamond. Defining the natural heart shape a distinctive V claw surrounds and protects the point of this elegant wedding ring friendly setting. Heart shaped diamond solitaire engagement ring with a modern three claw setting and solid tapering shoulders. A heart shape diamond solitaire ring. Solid tapering shoulders. Three claw setting with "V" claw detail. 2.5mm band, rising to form three claw setting. Available in most metal choices. Approx. 3 weeks for delivery. Supplied wood boxed and gift packaged. Experience the sparkle from the heart-shaped diamond halo engagement ring. Styled with a heart-shaped brilliant cut diamond, within a diamond halo surround, this exquisite diamond engagement ring benefits from diamond set shoulders for additional sparkle and a wedding ring friendly setting. Heart shaped-halo setting. Central heart-shaped brilliant cut diamond. Grain set diamond shoulders. 2.5mm ring width. Wedding ring friendly setting. Certified central diamond. Approximately 4 weeks delivery. Capturing the essence of romance, the heart shaped brilliant cut diamond boasts a greater connection to love than any other fancy diamond shape. All heart shaped diamond ring commissions feature hand selected diamonds prized for their defined shape and visual appeal. Most are GIA certified. We reject so many diamonds with each commission due to the importance of the true heart shape being so important to the final appearance of the ring. From lobe to point, precision and shape is key. Heart shaped solitaire rings take a little longer than the more traditional diamond cuts owing to the process of crafting your ring. We can only begin work creating the setting once we have sourced a suitable diamond. Due to the variation in length and width from one diamond to another, this is one of the most important steps of creating your diamond engagement ring. 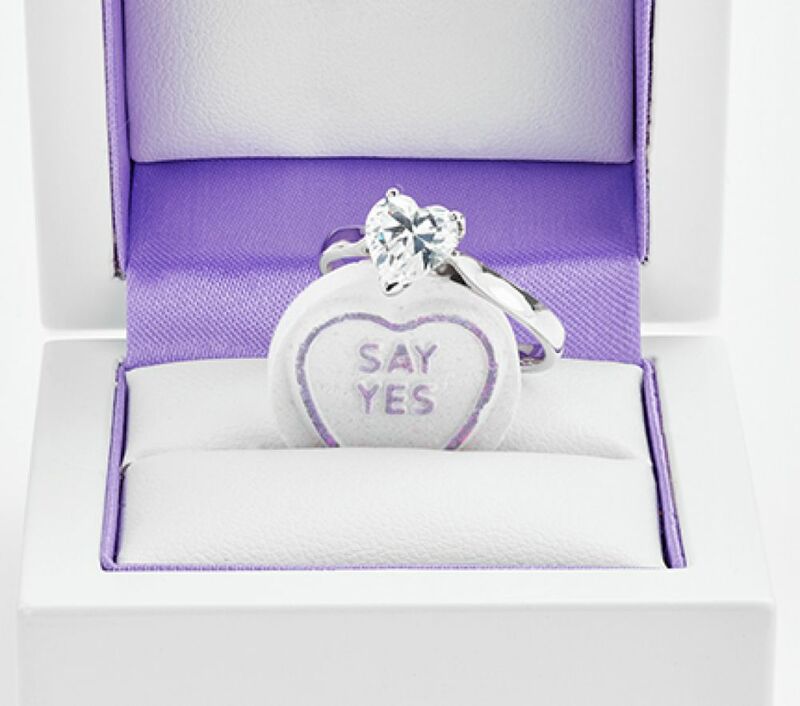 Through a time honoured process of casting, hand mounting, hand setting, hallmarking and polishing, your completed ring will arrive beautifully presented with complementary pocket box, perfect for a secret, romantic proposal.